Eggs spell comfort food for many and are a great option to satisfy our cravings. They are rich in protein and keep you full for longer and help you control binging on snacks. 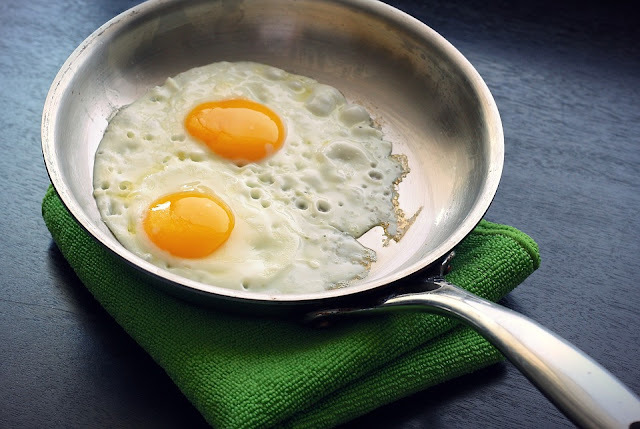 Eggs are the perfect food for anytime of the day, be it a sumptuous breakfast, accompaniment for lunch or a healthy evening snack to curb your cravings or a light dinner. If you are an egg lover, you would have already heard/tried the ever popular egg based dishes such as omelette, scrambled and boiled eggs. Let’s look at some extremely delicious egg dishes that are popular in different parts of the world. One of the tastiest breakfasts, the French toast is made by frying bread slices dipped in beaten eggs. The beaten eggs are often mixed with milk/cream and sugar that makes the French toast an irresistible food to have at any time of the day. You can also add cinnamon, vanilla, nutmeg or rosewater to the mixture for added flavour. You can relish hot French toasts with honey, jam, maple syrup or as an individual dish. 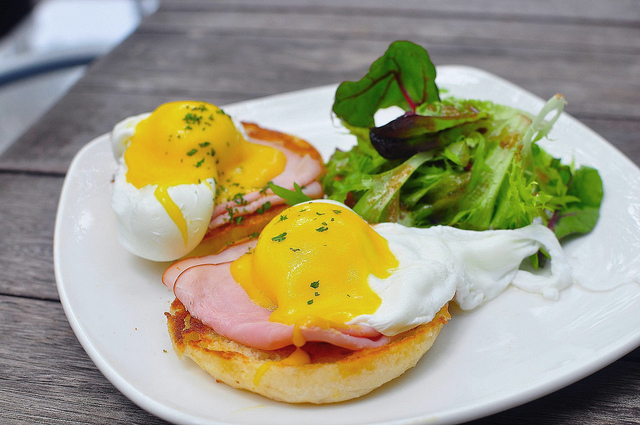 A popular breakfast/brunch dish in US, eggs benedict is made with poached eggs on top of two halves of toasted English muffin. The muffins are topped with bacon/ham, poached egg and hollandaise sauce. You can use cheese, rusks, salmon, etc to create variations of eggs Benedict. Scrambled eggs or egg bhurji is one of the easiest and quickest dishes to make. 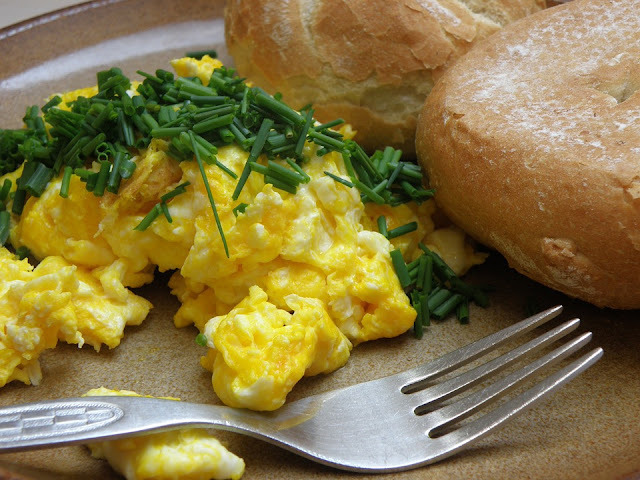 Though just eggs (salt, if needed) are enough to make scrambled eggs, you can always add herbs, cheese, cream, etc to suit your palate. Eggs are so versatile that you can mix and match it with pretty much most ingredients and cook an awesome dish. Fritta, a part of Italian cuisine is similar to our omelette. 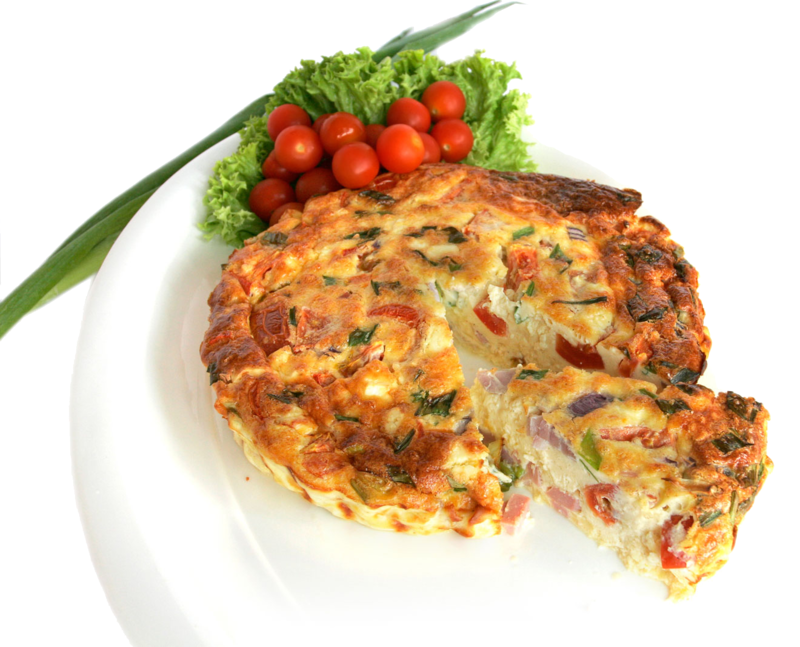 It is made with beaten eggs and a range of additional ingredients including cheese, meat and vegetables. 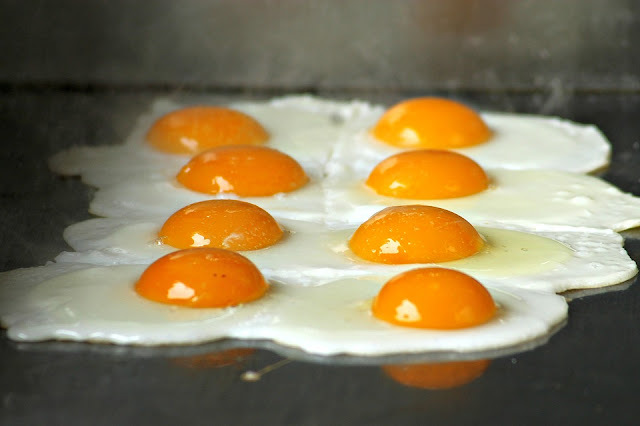 A favourite of many, fried eggs are a traditional part of breakfast in many countries. This simple yet tasty dish can be cooked in a variety of ways such as sunny side up, over easy, over medium, over well and over hard. Well, how long can we survive without a hot, Indian delicacy? 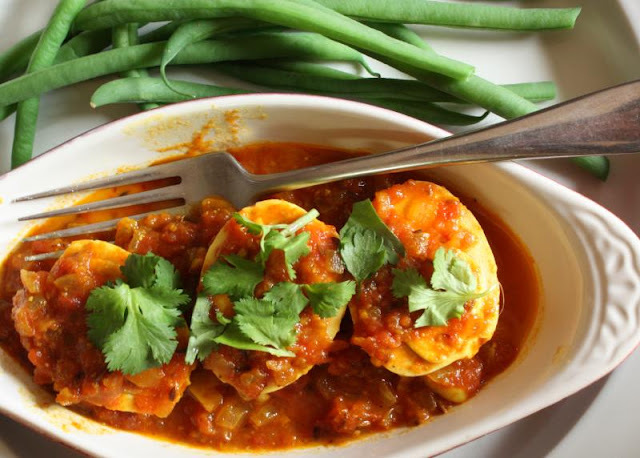 The spicy egg curry made with boiled eggs, whole spices, onions, tomatoes and ginger garlic paste is the perfect answer to your cravings. This rich curry with hot rotis or steamed rice is sure to make you feel egg-tastic. 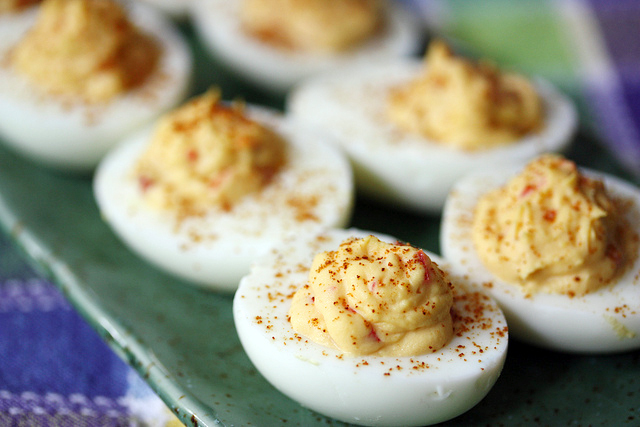 Originally from Italy, deviled eggs have become popular appetizers all over the world. Yolks of hard-boiled eggs are mixed with mayonnaise, cream, mustard and other seasonings and the mixture is filled into the white of the egg. Also known as stuffed eggs, they are best served cold and can be enjoyed as a starter, main course, side dish or as a party food. Egg tarts are the perfect sweet treat to lift your spirits. A traditional delicacy in many Asian countries, especially China and Hong Kong, egg tarts contain egg custard filled in an outer pastry shell. The pastry crust is filled with egg white, milk, vanilla and other ingredients and the tarts are baked. 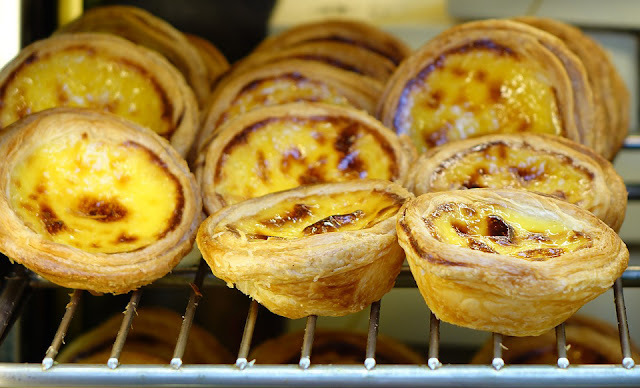 You can find egg tarts with variations such as chocolate tarts, ginger flavoured, green tea flavoured tarts etc. Feeling hungry? Rush to your kitchen and make your favourite egg dish. Many of these dishes don’t require too much time in cooking and don’t forget to share your favourite egg dish with us in the comments section.